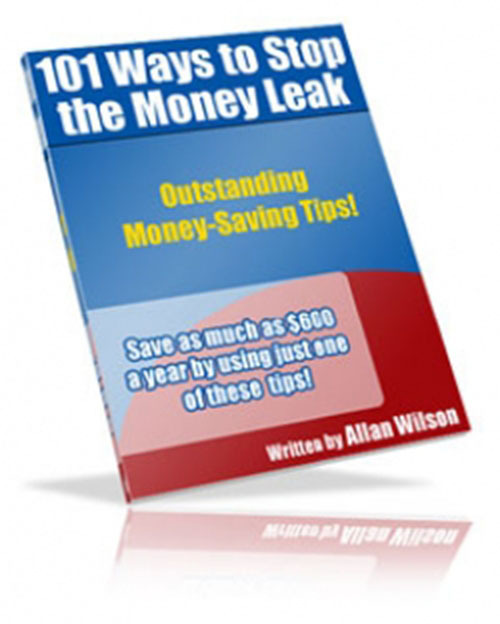 101 Ways To Stop The Money Leak Ebook!!! conscientious about money. The problem is that by the time the mortgage, car, utilities, and credit cards are paid, there is little money to put aside. Saving money is not that hard, just a matter of learning all the different options and being creative. This ebook usually sells for $4.97 but yours today for sale price of $0.99!! !